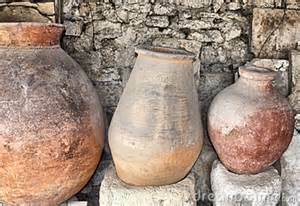 DayLight Scripture – The potters take great pains to mold the clay. They make each piece for our use. They make some containers to be used for holy purposes. Others will be used for ordinary purposes. Both pieces are made from the same clay, and both are made in the same way. But the use to which each is put is left up to the judgment of the potter. DayLight Prayer – Spirit of the living God, fall afresh on me. Make me, mold me, use me, fill me. Spirit of the living God, fall afresh on me. Amen.